The longest overnight train service in Japan. 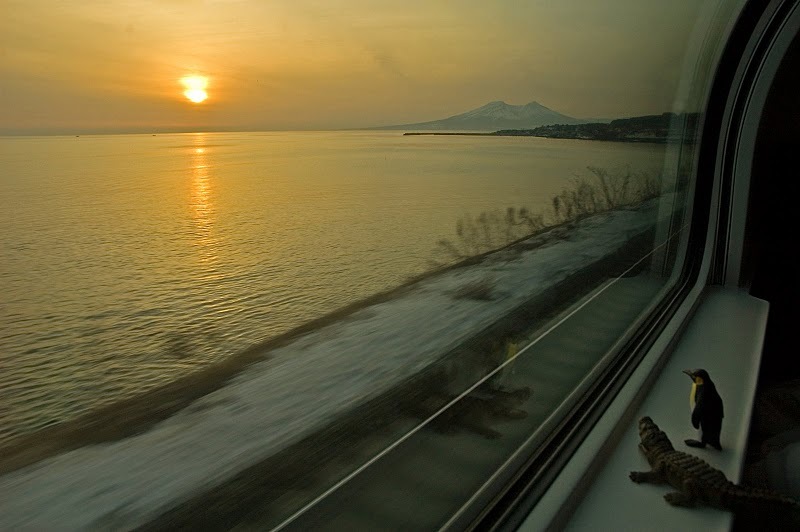 It runs between Osaka and the city of Sapporo on the northern island of Hokkaido. The journey takes between 22 and 23 hours. Niitsu at 19:40. The first stop in Hokkaidō is at Tōya at 07:17. The train then makes four more stops before arriving at Sapporo at 09:52.
at 14:05 and making its final pickup at Tōya at 16:19. The first stop at Niitsu is made at 04:23 with the train eventually making its way to Kyoto at 12:15 and finally arriving at Osaka at 12:52. 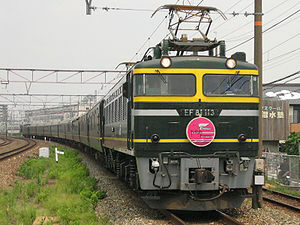 The Twilight Express consists of type "A" and "B" accommodations, all specific to this particular train. A flat fee is charged for all rooms, regardless of starting or ending location. Currently, accommodation rates range from about ¥9,000 for a "B" single twin room to about ¥17,000 for a "B" twin room or an "A" royal room, up to ¥51,000 for the suite room. The other fares, the basic fare and limited express fare, are based on distance. For tourists using the Japan Rail Pass, the basic fare does not have to be paid, although the limited express fare and room fare must be paid. You may see the beautiful sunrise or sunset from Japan sea. Come to HOSTEL 64 Osaka!